The development of fruit processing industry and the type, variety and yield of fruit raw materials are closely linked. Breeding and promoting high quality and high yield of processed seeds, so that the base of raw material production. Improved variety is the future direction of fruit processing. Because of its small size, light weight and easy carrying, the high-quality juice powder will continue to develop its varieties, output, packaging and processing technologies. To maintain the nutrition and flavor of fresh fruit juice for dry products, it is expected that sublimation drying or foam bed drying techniques will be increasingly used for fruit juice dewatering. Aseptic packaging technology has been widely used in fruit juice production due to its characteristics of preserving the original color, smell, taste and nutrients of fruits, and it is expected to continue to develop. As a beverage base, a number of nutrient-rich concentrated juices will be developed. In order to get high quality products and save energy, production technology tend to adopt reverse osmosis preconcentration process, multi-effect vacuum film evaporation process. Rational exploitation and utilization of wild fruit with high vitamin content, such as cili, sea buckthorn, hawthorn, kiwi. 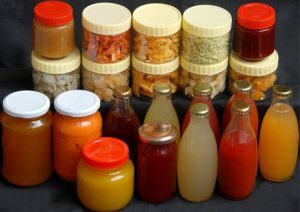 In order to meet the needs of consumers for taste and health care, the production of preserved fruits and preserves tends to reduce the sugar content. 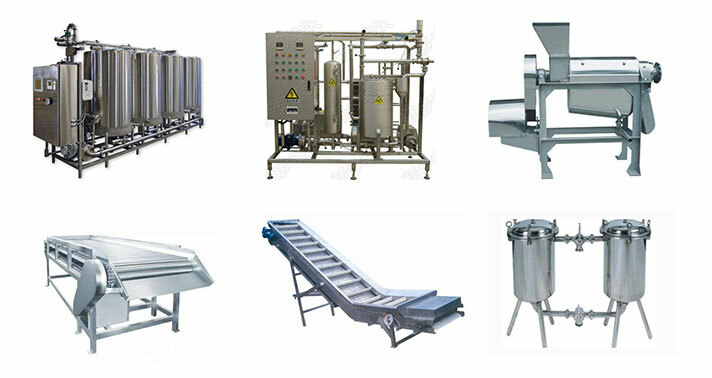 Fruit juice manufacturing equipment is used to process various fruit juices. In general, a complete fruit juice production line consisted of many juice processing machines, such as water treatment equipment, bottle rinser, filling machine, sealing machine, sterilization equipment, CIP cleaning machine, filtration equipment, packaging equipment, etc. TICO is a professional fruit juice machine manufacturer in China, we have exported many juice manufacturing machines and fruit juice processing lines. General fruit juice processing includes: Choosing fruit raw materials- picking- cleaning- crushing- pressing- filtering- blending- sterilization- homogeneity- degassing- filling- secondary sterilization- packing products. TICO fruit juice processing line is used for manufacturing of fruit juice drink, it processes 2000-36000 bottles per hour, the output can be customized according to the demands of customers. 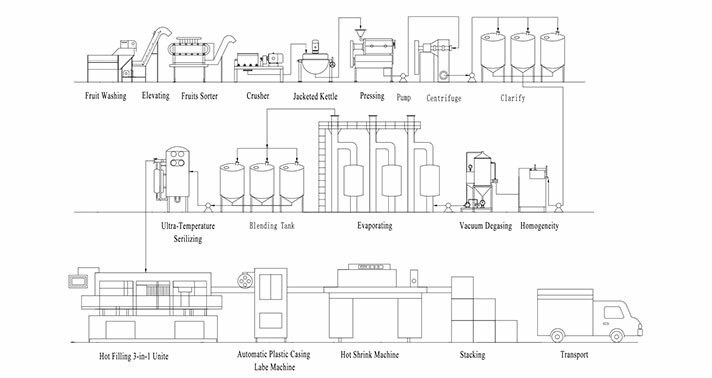 The complete fruit juice processing line possesses fruit pretreatment system, water treatment system, sugar blending system, degassing homogenization sterilization system, CIP cleaning system, bottle blowing machine system, bottle shaker system, air delivery, filling machine, secondary sterilization system, sleeve labeling machine , drying machine, jet printer, film charter, transportation, boilers and so on. The degree of automation can be configured according to customer requirements. We provide the technology process, the layout design of workshop and the entire technical guidance. The raw material can be fresh fruit or concentrated fruit juice. 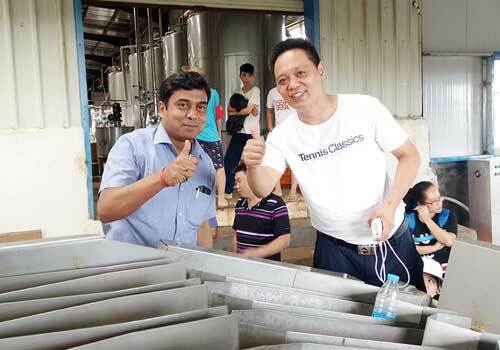 According to customer requirements, choosing packaging form, such as plastic bottles, glass bottles, cans and so on. 2000-36000 bottles per hour, the output is depend on the requirements of customer. The process technology and the degree of automation also are customized by customer needs. For reference only, depending on the process requirements.